Hair loss is a common condition affecting most people at some time in their lives, as both men and women may notice a mild thinning of the hair starting their mid 30s. Aging, predetermined genetic factors, illness, emotional stress, dieting, hormonal changes, medication can all trigger reversible hair loss. Prevention of hair loss requires proper hair hygiene and a healthy nutrition. Hair-boosting supplements can complement general hair-care by providing the necessary vitamins and minerals for nourishing the follicles. 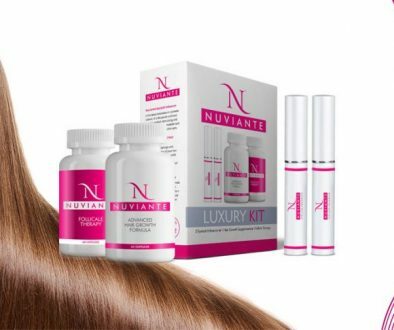 Nuviante is a vegan-friendly dietary supplement that helps fighting dull hair and damaged scalp, by boosting overall hair-saving efforts. Its potent formula can help reversing hair fall and accelerate hair growth instead. Biotin: a complex vitamin belonging to the B vitamins group, biotin is essential for hair health, as biotin deficiency often leads to hair breakage and brittle nails. 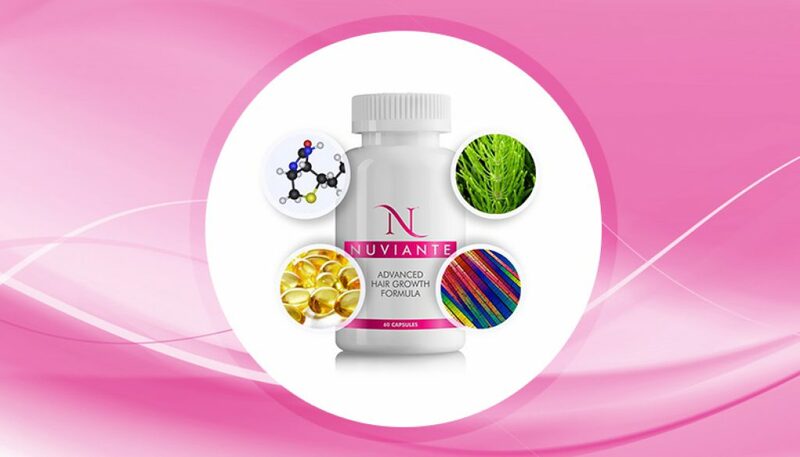 By supplementing your daily diet with Nuviante, your body can use the extra-amounts of biotin for repairing and revitalize your hair. Pantothenic Acid: builds strong follicles and accelerates hair growth. Horsetail (Equisetum ravens): rich in essential minerals that can boost healthy growing process, by nourishing the hair at the same time. Para-Aminobenzoic Acid (PABA) – a natural protection against free radicals oxidative processes. Reduces graying. Other ingredients and excipients: Vegetable Cellulose, Silica, Vegetable Magnesium Stearate. Use Directions: up to 3 tablets a day, according to the manufacturer’s indications, in addition to a healthy diet. Before starting any hair loss treatment, consult your doctor about the cause of your discomforts and the best treatment options.